Kick Off Ramadan in Roc City! Roc City awaits you for the 2019 official IMANA Ramadan kickoff! 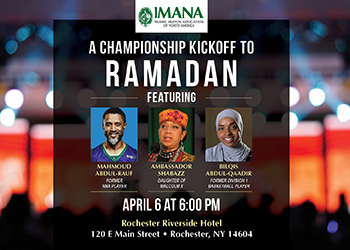 Help improve the world’s health, and meet champion athletes Mahmoud Abdul-Rauf and Bilqis Abdul-Qaadir, and Ambassador Shabazz (daughter of Muhammad Ali)! Join us! 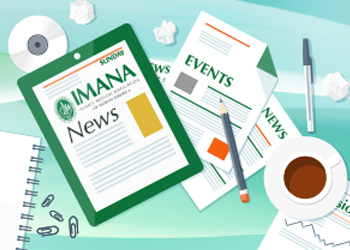 Hot Off The Presses- IMANA News! 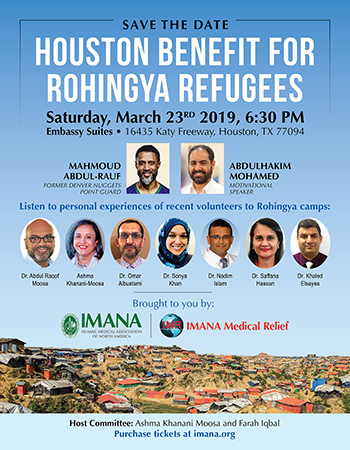 Hear thought-proving recollections of work by Dr. Abdul Raoof Moosa, Ashma Khanani Moosa, Dr. Khaled Elsayes, Dr. Nadim Islam, Dr. Omar Albustami, and Dr. Saffana Hassan with the Rohingya people at this special event. Houston comes together on March 23 to make a difference. 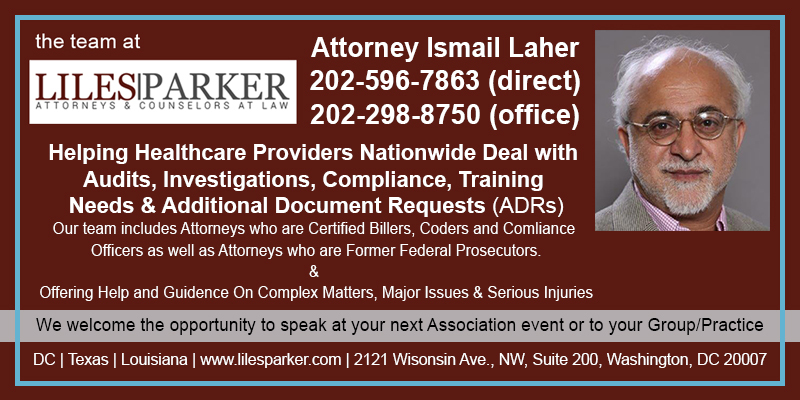 Learn about our work, have dinner, and impact lives. Submit an abstract to present at our 2019 convention in Utah by April 15. 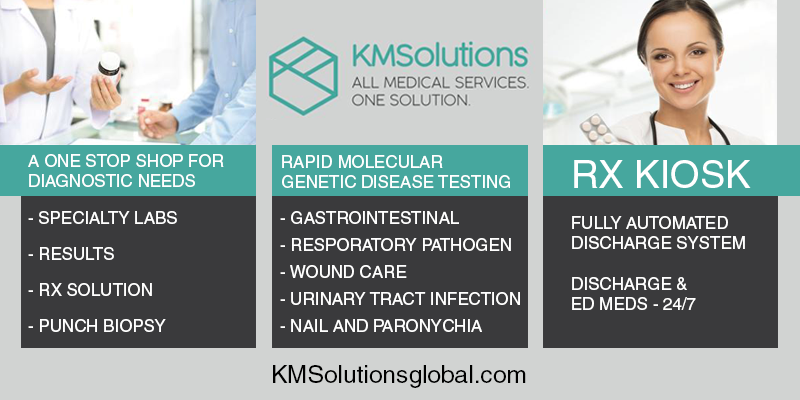 Share knowledge and network with peers in the industry. Anti-Aging, Injection Technique, Nutrition and Yoga will be given workshop preference. 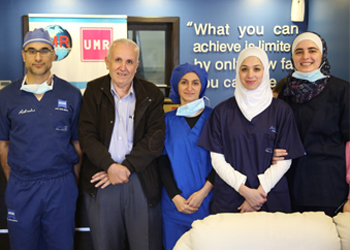 Congratulations to our SaveSyria Cataract team that just returned from Jordan. The team performed 183 procedures, changing lives of many by restoring eyesight. 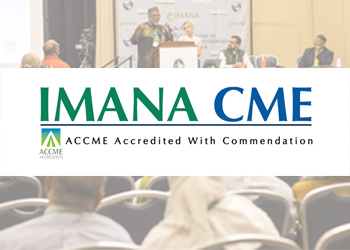 Thanks to Dr. Rasha Ali, Dr. Rabeea Janjua, and Dr. Baseer Khan. Put your talents and expertise toward exciting work that makes a difference. 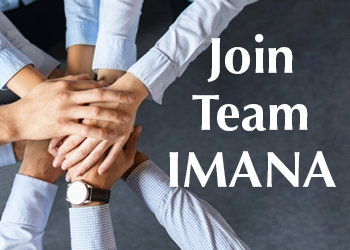 We are hiring for the roles of administrative assistant (Washington, D.C.) and fundraising development manager (Chicago, IL office).